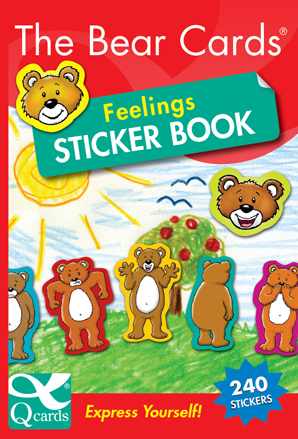 The Bear Cards Feelings Sticker Book is a new fun way to explore and share feelings. 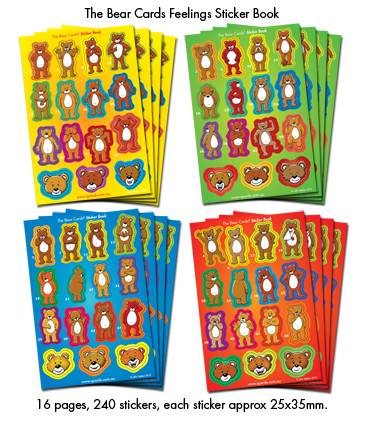 The book includes 4 sets of all 48 original Bear Cards characters plus 4 sets of 12 happy bear faces as die cut stickers. Click on the image to see the pages. Book dimensions: 106 x 155mm, 16 pages.